Note: Thanks to Angry Robot for providing the Advance Reading Copy of this title. Something is rotten in the city of San Francisco. A serial killer stalks the streets, selecting his victims under cover of night and garroting them with high tensile steel. The nickname bestowed upon him by the media? The Hang Wire Killer. An organisation of news bloggers covering current events in the city is out celebrating when a booby-trapped fortune cookie blows the roof off their party. During all this the circus has come to town but something sinister is lurking within. Trouble is brewing and the only hope for the city, and indeed the world, may be the ancient gods lurking unknown among us since time immemorial. Hang Wire hangs together through a series of flashbacks, slowly filling in the gaps telling us how the state of affairs came to be. A trail of murders and a quest for power provide the background, while in the present things get ever stranger. Ted, the blogger injured in the cookie attack, is recovering quickly with seemingly no ill effects. Not until he starts sporadically losing consciousness and awakening with no memory of what happened. His co-workers are worried, particularly his partner Alison, but there seems to be nothing they can do. But then Benny starts acting strange, and who invited Bob the beach bum dance instructor to the party? And then there’s the circus. Little by little the camaraderie which binds the workers together seems to be unravelling. Fistfights are breaking out and tensions are high. The ringleader is acting strangely and the star attraction, tightrope walker High Wire, refuses to practice with his crew and disappears at night. Exacerbating matters are the Celtic dance troupe, taking their fire rituals a little more seriously than would be comfortable. 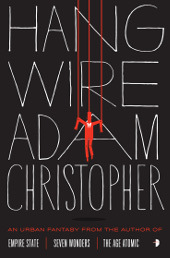 Hang Wire tells a number of tales all at once. 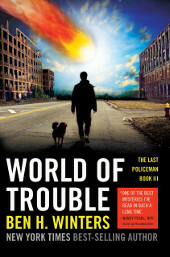 It’s a detective story, a horror, a little bit of science fiction and a lot of urban fantasy. It’s a heady mix and throwing all these elements together means Adam Christopher is able to keep things rolling along at a hell of a pace. Just when you think you’ve got one thread untangled, bam! He hits you with a new murderer, superhero or plain old deity. Weaving all this together requires a lot of moving around, not only in space but also time, yet the story never really loses its way. Somehow coherence is maintained while you’re reeling from one supremely confusing (or confused) viewpoint to another. Which brings me to another of Hang Wire‘s strong points. An intricate plot like this requires a large cast and this is where many similar novels fall down. By sacrificing quantity for quality, many authors wind up with an ensemble of paper-thin caricatures, leaving the entire book without any weight. Adam Christopher in comparison manages to imbue each of his lead characters with distinct personalities and motivations, lending his story an unexpected heft. Even minor players have their important roles in the story and he handles each as an individual, not merely as disposable plot elements. More of this in contemporary storytelling please. Unfortunately the diversity of elements at play, while being one of Hang Wire‘s strengths, was also for me one of its weaknesses. At points it just gets a little too much. In the beginning everything seems fine and the story develops with just the right amount of novelty and surprise but somewhere around the halfway point you start thinking, “Are you kidding? Now there’s a samurai? And a magic monkey?”. Maybe it’s just me but I felt he could maybe have reined in the craziness a little and saved some of it for a sequel. However as I said earlier the book never loses its cohesion despite everything which is going on. Something of a miracle if you ask me. The Last Policeman (reviewed here)was a refreshingly original take on the noir genre. Hank Palace, a newly promoted detective, follows up a dead body found in the restrooms of a diner. The official verdict is suicide but Hank feels there is something more at work here and follows his gut. Soon he uncovers something sinister and is on the trail of what now seems to be a murder case. So what set it apart from the rest of the genre? Well, that would be the massive asteroid on a 100% certain collision course with earth, set to obliterate all life. While society crumbles around him, Hank stays true to his profession, intent on bringing those responsible to justice despite the fact that, in the long run, it will all be for nothing. Countdown City takes off a few months later and things are looking grim. The police force has all but been disbanded and Hank is now a mere civilian. This doesn’t stop him from following his calling though and he still pounds the streets and looking after his own. Soon he is contacted by Martha, a desperate wife whose husband has disappeared. The remaining law enforcement units don’t have time for this – runaways are the norm given the circumstances – so Hank takes up the case. What initially seems to be an open and shut case of desertion soon turns out to be something altogether stranger and more dangerous. The remainder of Countdown City unfolds more or less conventionally as our former detective finds himself sinking deeper and deeper into a world of conspiracies and freedom fighters. This aspect of the novel is handled with the same aplomb as in The Last Policeman, reading much like an updated Chandler tale. 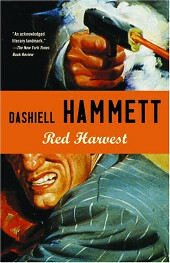 The rhythm of the prose and attention to detail alone are enough to place it in the higher echelons of crime fiction. However, as with its predecessor, it’s the extraordinary circumstances which elevate it above the norm. Where the first installment introduced us to a world slowly becoming aware of its own impending doom, people slowly giving up hope and abandoning their responsibilities to the pursuit of hedonism, things here have deteriorated considerably. Lawlessness has now taken hold and dangers are everywhere. With the collapse of most industries there is a rise in black market trafficking of all kind of goods, from food to medicines to baseball memorabilia. While these are largely peaceful, community efforts there is a darker side where morality and trust have been thrown out of the window. Running counter to this some citizens still retain a glimmer of hope and dignity. We see one group of people fighting against the government blockades which prevent refugees from the asteroid’s likely strike zone from reaching America’s shores. At the same time a mass of students and like-minded thinkers have occupied a university’s grounds, forming their own experimental society in which to see out the end of the world. Naturally a non-heirarchical utopia formed by a bunch of people who are barely adults is riddled with flaws but the very fact of their trying is the point, not their success or otherwise. 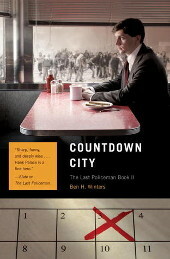 For me the draw of The Last Policeman and Countdown City is the thinking they inspire. We’re all used to the post-apocalyptic visions of descent into savagery and the collapse of society but could it be different? Could people hold it together enough to salvage something worthwhile. While I try to imagine myself as a noble hero like Detective Palace I know that it’s far more likely I’d join the bucket-list crowd, spending my remaining months exploring the world and all it has to offer before it’s gone. And would that even be a bad thing? When faced with certain annihilation do we retain all of our responsibilities to ourselves and others? Or are we somewhat freed from the social contract? Well, not to the point of murder, but to throw caution to the wind and simply pursue happiness. Can we do that now, in the absence of an impending apocalypse? And if not, why not? Then I realise that while I admire Hank’s steadfastness in his duty I still think he’s a little unhinged. If you haven’t already read The Last Policeman then I highly recommend grabbing it and Countdown City while waiting for the conclusion to this brilliant and thoughtful trilogy. Come for the noir but stay for the extended detours which your train of thought will doubtless take along the way. Silly me, I keep forgetting to link to the reviews which I post over at Splendibird’s blog. Oh well, time to make up for lost time. The most recent was Lauren Beukes exceedingly original and well-paced time-travel thriller, The Shining Girls. Set in an immaculately recreated Chicago it tells the tale of Kirby Mazrachi, a gifted young girl who is visited by a mysterious stranger as a child. Years later, the incident totally forgotten, she finds herself savagely assaulted and left for dead by the same man, aged not a single day. Disturbed in the middle of his attack, he disappears and is never heard of again, not until a grown Kirby starts piecing together various seemingly unconnected murders around the Chicago area spanning back almost a century. Go check out the full review at Mountains Of Instead! Detectives Tallow and Rosato, partners in the NYPD, are having a normal day sifting through the grotesque offences which the city serves them. Rosato is the trademark tough, no-nonsense cop replete with senses and reactions honed by years of experience although bearing a knee weakened by his wife’s insistence on taking up jogging to alleviate his mid-years spread. Tallow, well, not so much. A dedicated loner, he’s reached the mid-career malaise typical of so many on the force and is playing everything by the numbers and no more. Their next call tears the partnership apart. By the end of the day Rosato is in a body bag, minus portions of his skull and brain. Tallow manages to take down the perpetrator, an overweight, shotgun-wielding maniac threatening to break down his landlord’s door due to an eviction notice and taking his frustration out on Rosato’s head instead. Following the shooting, Tallow winds up forcibly entering one of the apartments in the walk-up and what he discovers inside triggers a hallucinatory cat and mouse chase through the city that never sleeps. The seemingly innocent yet improbably fortified door conceals the titular Gun Machine, an incredibly elaborate arrangement of handguns dating back hundreds of years and covering every surface. No sooner has Tallow been put on recuperative leave after the death of his partner than he finds himself reinstated. The arsenal is no ordinary collection of guns and he has unwittingly handed his lieutenant a nightmare. Every single weapon in the cache is implicated in a crime, it’s a virtual diary of hundreds of homicides, all preserved and tucked away in what should have been an impenetrable lair. Each and every one of the cases is now reopened and Tallow, weary and stressed from his partner’s death, has been saddled with the task of solving them – a mission impossible intended to be a final nail in the coffin of his career. Mustering hidden reserves of strength and character, Tallow resolves not to thrown in the towel and commits himself body and soul to the task at hand. With help from his newfound accomplices at the CTU, Tali and Bat, he starts digging and uncovers a terrible secret. A seemingly supernatural killer, reaching out across the ages and plying his trade with impunity across Tallow’s home turf. Soon the investigation implicates some very high-up players in the city and Tallow finds himself fighting a battle on three fronts – against the killer, his conspirators and his own department. 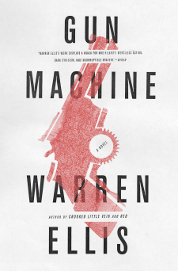 Gun Machine is Warren Ellis’s second novel following the gleefully twisted Crooked Little Vein. Perhaps most famous for the rightful acclaimed Transmetropolitan comic series, Ellis is very comfortable fishing through the sewers of urban life. His fascination with all matters dark, especially those emanating from the human soul, comes through loud and clear in this volume. Tallow is a borderline depressive, distrusting of all human company and whose radio station of choice is the police band airing a non-stop litany of violence and degradation on New York’s streets. There is no character in this book who doesn’t have something to hide, whether a twisted vice or a collection of blood-drenched skeletons in their closet. Even the city itself becomes a dark, brooding presence ready to swallow anyone who takes a wrong turn. It’s not all gloom and doom though. Ellis garnishes every gruesome act with enough caustic wit to dissolve any darkness before it becomes too oppressive. The double-team of Bat and Talia (a textbook sarcastic nerd and his overbearing lesbian boss) provides welcome doses of hilarious light relief in addition to the one-liners which pepper the book. Even while sapping all hope from, his characters Ellis manages to somehow retain a grim smile, teasing every bit of crooked joy he can out of their predicaments. Gun Machine is an impressive book on many levels. As a police procedural novel it manages to avoid the well-worn cliches of the genre without straining incredulity to breaking point. At the same time it manages to be an investigation of the dark side of human nature and the sickness of modern life. And yet more, it is a redemption story of sorts, telling the tale of a man sent to the brink by fate and his own actions, yet grasping for a second chance while beset by foes on all sides. The vicious invective injected into the storyline is an added bonus, giving it a lively, wicked character where many other books of its kind fall flat. This is already shaping up to be one of the books of the year for me and it’s just a matter of time before I pick it up again for another run-through.